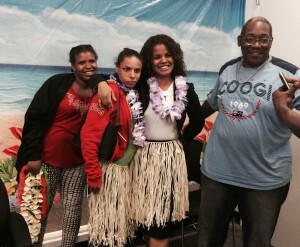 The Parent Support Group, led by clients of The Bronx Defenders, was organized with the vision that through peer support, parents can find some normalcy and guidance in their sometimes challenging experiences. Members of the group sit down regularly over food, conversation, and group-led activities to discuss their situations in a positive way. The group invites discussions that are often difficult, but also those that are inspiring to participants. Our members enjoy the group because we provide a space where their voices are heard and not judged. We invite community providers to speak to our members about their services, and have our own legal experts and advocates discuss the legal rights and responsibilities of parents. Having this space provides hope to mothers and fathers, as well as the tools necessary for parents to advocate for themselves successfully. Clients who are represented by The Bronx Defenders in any forum are invited to attend, as are Bronx residents who do not have an open case, but have an ongoing ACS investigation. Our group meets every second Tuesday of the month from 11 am -1 pm at The Bronx Defenders’ Justice Campus, at 360 E. 161st Street in the Bronx. We serve food, beverages, and have raffles for our clients. Questions? Please contact our main reception desk at (718) 838-7878 and ask for Debbie Brook or Tracey Carter.